Not all Obscure Golf Trail (OGT) courses are in the middle of nowhere. This installment takes us to the middle of New Braunfels, Texas. 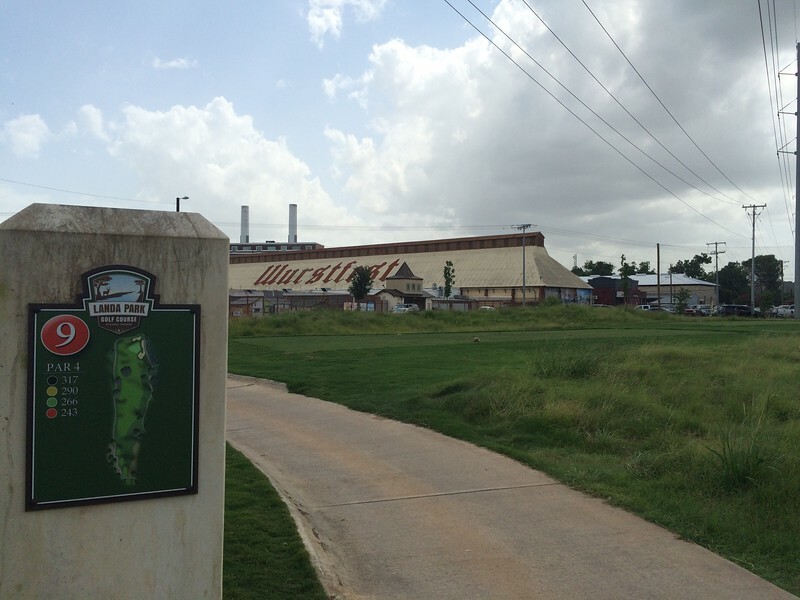 Landa Park is 18 holes, par 71, and up to 6200 yards. It was closed for a renovation and reopened late last year I believe. They have a bar (so don't roll up with your cooler), and as you'll see in some of the pictures, most of the deer in the area live here. The course even has iOS and Android apps. Here's my suggestion: Go play in early November and you're right next to Wurstfest. Does Adding Salt To Your Ice Help Chill Your Beer?